Email marketing is a form of database marketing that involves sending email messages or newsletters to a targeted list of existing or potential customers with the intent of increasing revenue and establishing trust and loyalty with your brand. Email messages can be crafted around specific products or service offerings and can include coupons, sales event information and new product announcements. Email marketing is considered to be one of the most cost-effective components of database marketing and is being used by many businesses across the globe to communicate with customers and increase revenues. Businesses can acquire email addresses through websites, comment cards, surveys or through purchasing the addresses from a third party. All of which contribute to making email marketing a very effective way of communicating and conveying messages to a large customer base. The effectiveness of your email marketing efforts depends on a number of factors including both technical and creative execution. If your email communication is not technically sound there is a good chance the message will not be received well by potential customers as they may be viewing the message on a mobile device or tablet. This means the message may be broken or shifted on various devices leading potential customers to delete it and mark it as spam. Creatively using the wrong words in the subject line or in the content can land you in spam filters as well, which means the message will never even be seen by your potential customers. Both of these can hurt your reputation and get you blacklisted with email service providers such as Yahoo, Gmail and Hotmail to name a few. To maintain a good reputation with the ESPs it is also important to authenticate your email marketing lists and send to the lists with regularity. Tracking and measuring the results of your efforts to easily determine return on investment. Email marketing is significantly cheaper and faster than traditional direct mail. There is no need to pay for printing and postage as you would in the case of traditional direct mail marketing. The number of email users is vast globally and you can target and reach them with one send. Businesses can have an unlimited number of opt-in subscribers on their email lists. Customers can take immediate action on the message and make a purchase, register, etc. It has been proven that email marketing can contribute significantly in increasing revenue, building brand awareness, and aiding in customer relationship management. It is also an invaluable way to get customer’s honest and valuable feedback about your products and business. 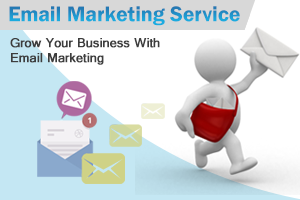 Necessity Marketing is one of the best email marketing service providers based in Miami. We provide consulting and management services for email marketing strategies and campaigns. Our expert team designs and develops technically sound creative messages to reach your potential customers. We ensure your message is received well across various browsers, mobile and tablet devices. We creatively design messages to entice recipients to take action whether it is to make a purchase, complete a registration, download content or simply visit a website. We track and report metrics for your email marketing efforts to ensure we are reaching your businesses goals and achieving a solid ROI. We look forward to hearing from you and discussing how we can utilize email marketing to grow your business. Contact us now for a no obligation consultation and analysis.